Would you like to be part of the hostel history? In this room you can breath the history of the hostel! 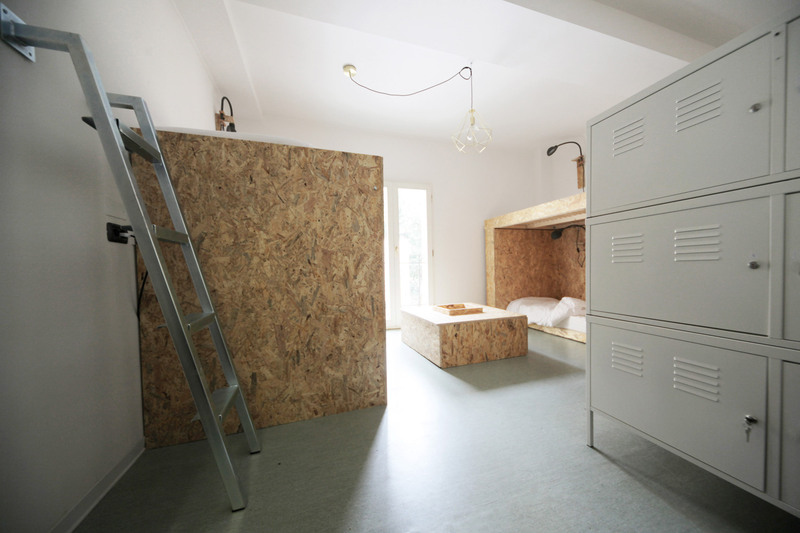 This 6 bed dorm has already an important background, because it was the hub of the hostel works. In this room almost every piece of the furniture was built. We cut wood, we worked the iron, we painted, we gave life to Dopa Hostel inside this square space. For this reason we want to enable you to leave a sign of your passage if you book this room…by leavinge something about you or even your country inside the big bottle. 1 bed starting from 24 euro p/p.